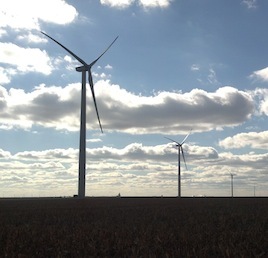 Eurus Energy’s 100.8MW Spearville 3 wind project is located northeast of Dodge City, Kansas. 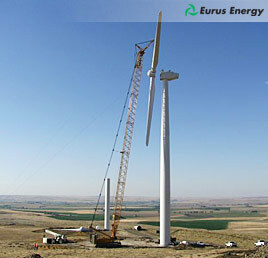 Eurus Energy completed construction of its 63 MW Combine Hills II wind farm located in Milton-Freewater, Oregon in late December 2009 with energy sales from the project beginning January 1, 2010. 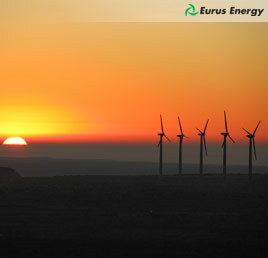 Eurus Energy America achieved commercial operation of its 180MW Bull Creek wind farm in Borden County, Texas in 2009. The Bull Creek project is the largest wind project completed by Eurus worldwide and is its eighth wind project in the United States. Eurus developed, built, and is now operating the wind farm located near Gail, Texas which is about 50 miles south of Lubbock. 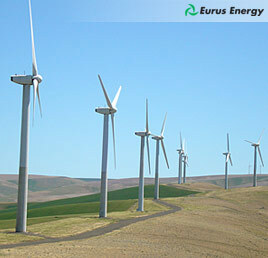 Eurus Energy’s 41 MW Combine Hills wind farm is located in Milton-Freewater, Oregon (approximately 200 miles east of Portland). With projects in operation since the late 1980s, Eurus Energy continues to be a pioneer in American wind energy through its development of multiple wind projects totalling approximately 250 MW and located between Tehachapi and Mojave in the California desert. 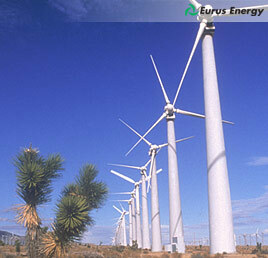 Eurus Energy’s most recent wind farm in California, the Oasis Project, achieved commercial operation in 2004.